Saudi artist Shalimar Sharbatly poses at her stall during the “Who’s next” fashion gallery in Paris on Monday. 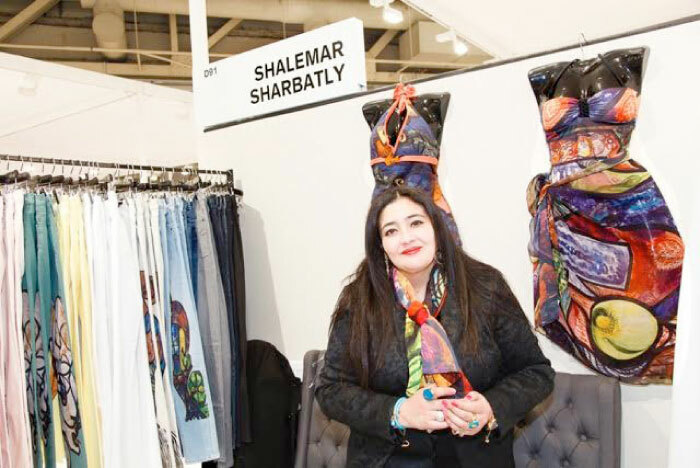 PARIS - Saudi artist Shalimar Sharbatly participated in the “Who’s next” fashion gallery which was held in Porte de Versailles, one of the most famous art facilities in Paris, between Jan. 20 and Jan. 23. “Every time I participate in galleries such as this one, I feel thrilled as this participation would boost the Arabian presence in international events and open up the path for those who are afraid to take part in events like this one. It’s true that there are many brilliant international names such as Ellie Saab, Zohair, Murad and Adnan Akbar, but the world hasn’t witnessed the addition of other Arabian names even though there are dozens of fitting names,” she added.